Just in case you guys haven't noticed, I've kinda been in a baking mood lately. I think cooler temps does that to me (you, too?) 'Cause after all--who wants to turn their oven on in the summer months of 90 degree days? Cooler temperatures, heartier flavors, and spices just are another reasons to love fall. 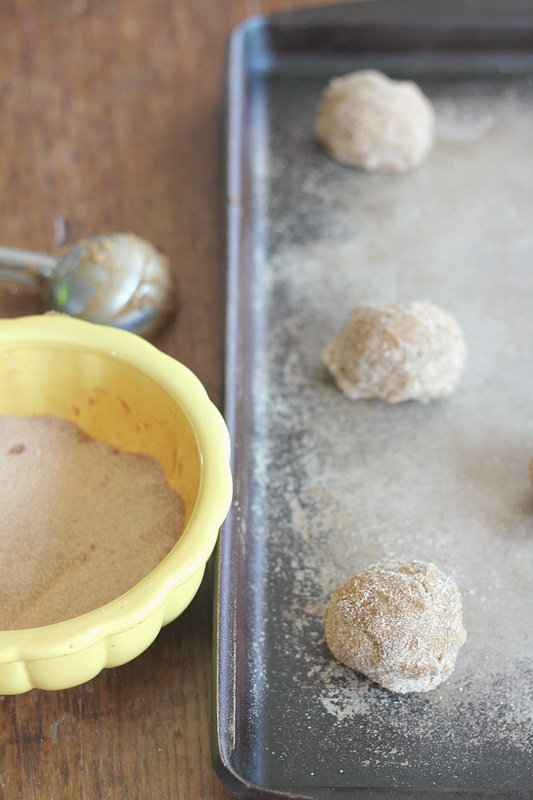 So let's continue on with our fall theme today with another recipe. 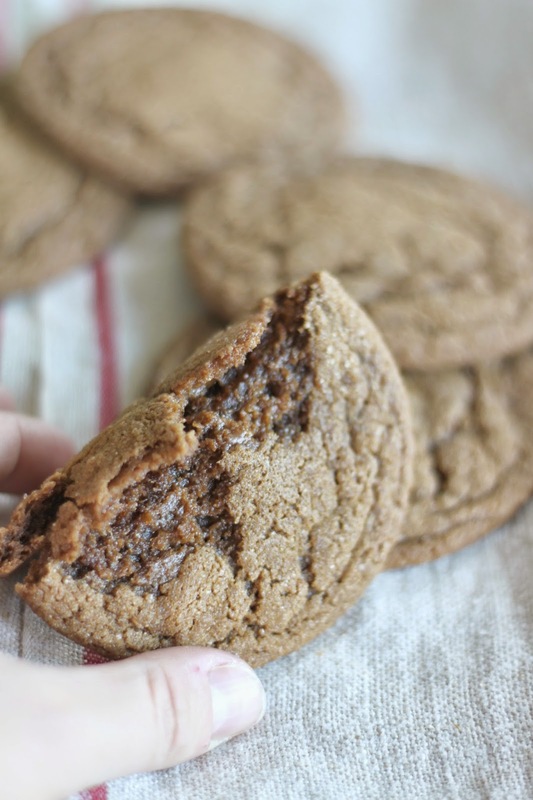 This time it features a little ingredient with BIG flavor that doesn't get a whole lot of attention anymore: molasses. First of all, before we get our aprons dirty--do you guys actually know what molasses is? (I only know what it is because Mitch works for a molasses company...ha!) Let this former teacher indulge herself for just a sec, k? So molasses...it's that thick stuff that's slow comin' out of the bottle (hence the "you're slower than molasses in January" phrase we hear). 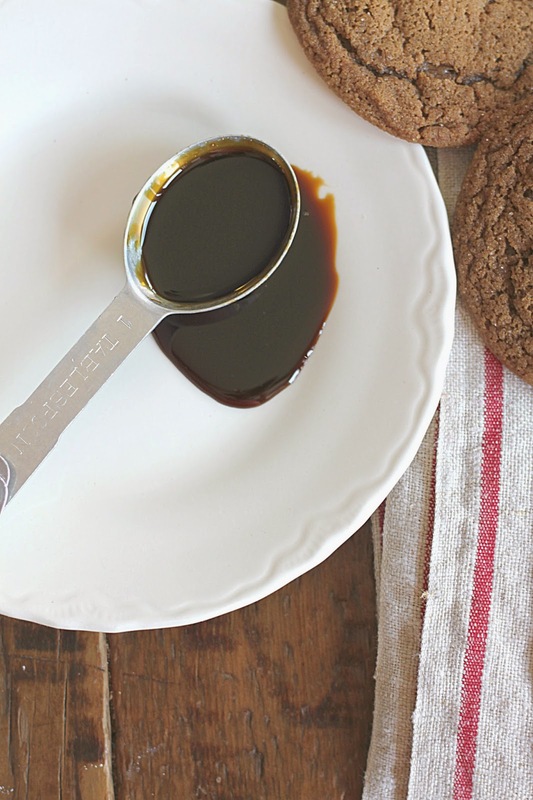 Molasses is basically the by-product of the sugar refining process. It's the last bit of "stuff" left after the sugar crystals (table sugar) are extracted out of sugar cane. Therefore, molasses actually contains all the minerals and nutrients of the sugar cane. And until after WWI, molasses was the primary sweetner used here in America. Then after the war, the price of refined sugar drastically dropped, thus ushering in the age of white cane sugar and molasses got pushed to the back of the cupboard. Literally. But let me encourage you to pull the black sticky stuff out again, dust off the lid, and crack open that jar. Bring that dark sweetner back into the limelight once again by making a batch of these here cookies. They are full of flavor. And they're just perfect for this time of year. 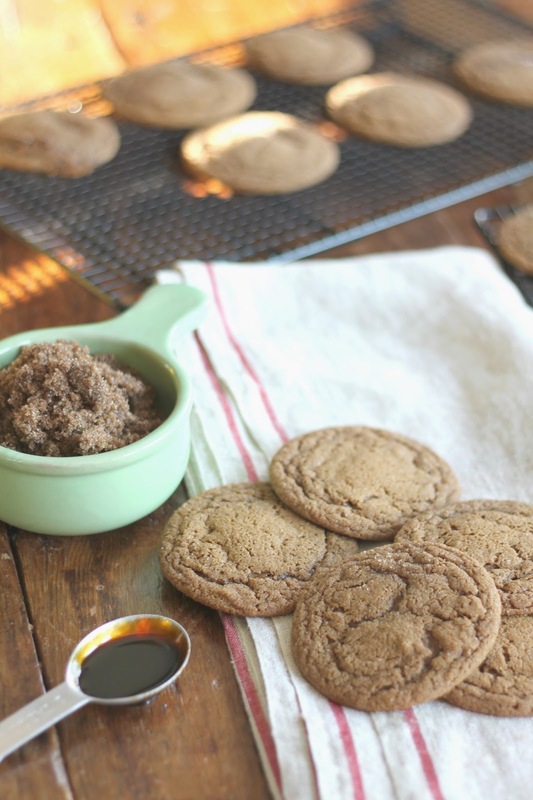 Side note: there are different types of molasses...I used the milder and sweeter baking molasses for these cookies. Blackstrap molasses would be too bitter for this recipe (go here to read more about the different kinds of molasses). And of course they're made with coconut oil, which you should know by now, is something I love. 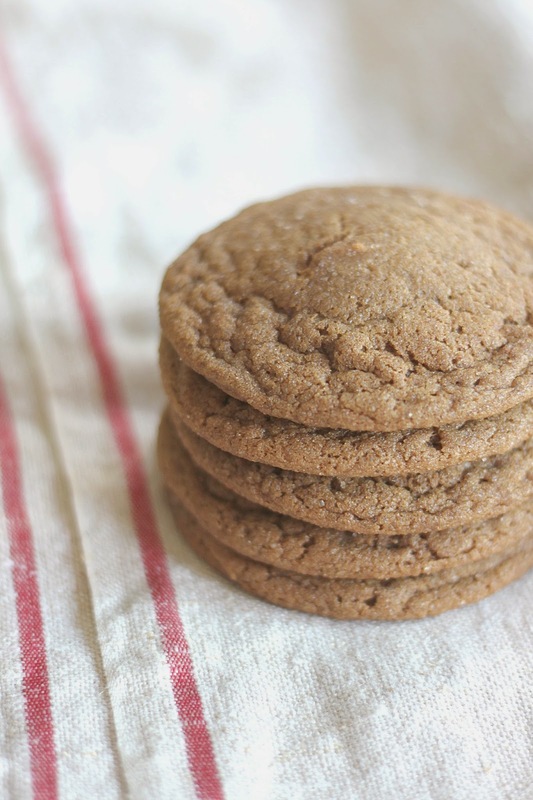 I'll be honest with you--I'm usually an all-butter girl when it comes to baking cookies, but since the spices in these cookies are the primary taste factor, using refined coconut oil is perfect. 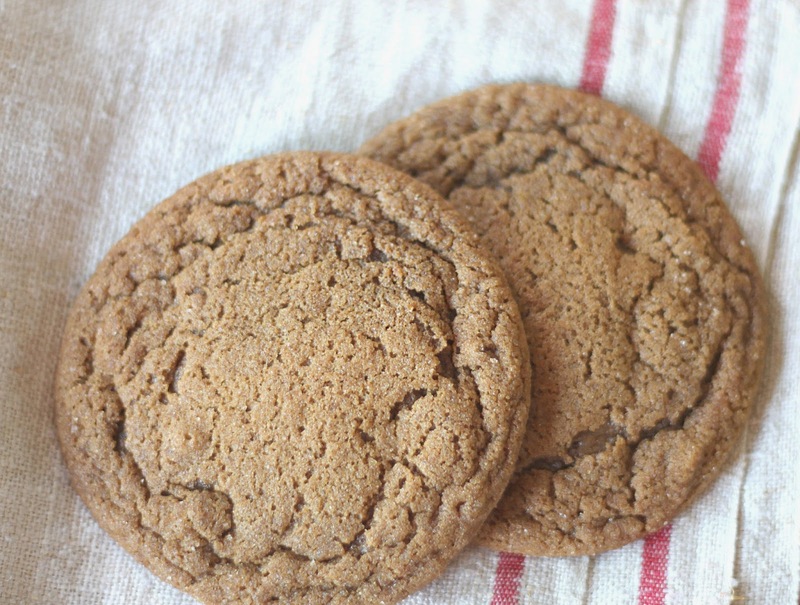 I've actually made these cookies with butter, coconut oil, AND Crisco (three different batches), and the coconut oil version is the best one in my opinion. It results in deliciously chewy cookies. So you're going to melt the oil before using it. Coconut oil has a melting point of 76 degrees, making it mostly a solid in these fall-like temps, so just stick it in the microwave for about 30 seconds until it's melted. After the batter is all mixed, you'll need to wrap it in plastic wrap and chill it for a few hours, so the dough is actually workable. If you were to bake it as-is, the dough would be way too soft and would spread out like a pancake while baking. 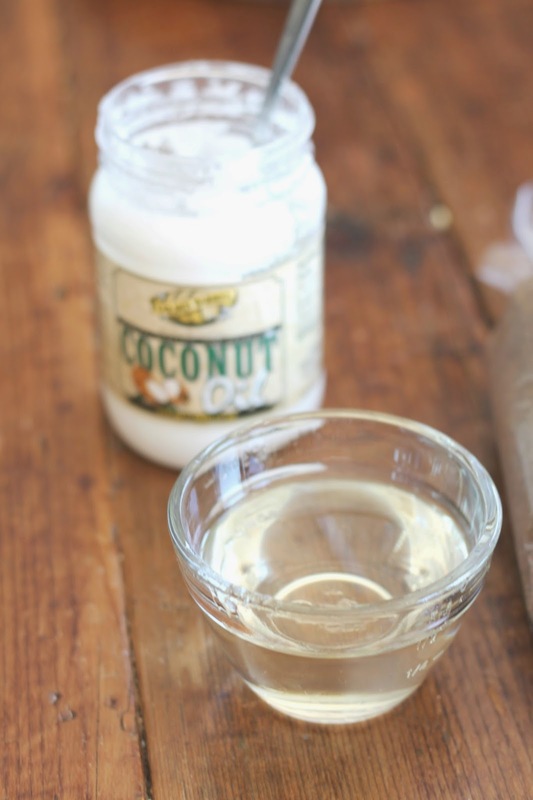 The coconut oil actually has to turn back into a solid...that's the purpose of the refrigeration--to make the dough firmer/easier to work with. The outside is a little crispy--crispy enough that it kinda snaps to a certain extent when you break it apart. And the inside is nice and chewy. In the bowl of a stand mixer fitted with the paddle attachment, combine the egg, brown sugar, coconut oil, molasses, vanilla, and beat on medium-high speed until well-mixed, smooth, and glossy about 4 minutes. Stop, scrape down the sides of the bowl, and add the cinnamon, ginger, cloves, nutmeg, salt, and beat on medium-high speed until combined and smooth, about 1 minute. Stop, scrape down the sides of the bowl, and add the flour, baking soda, and mix until just combined, about 1 minute. 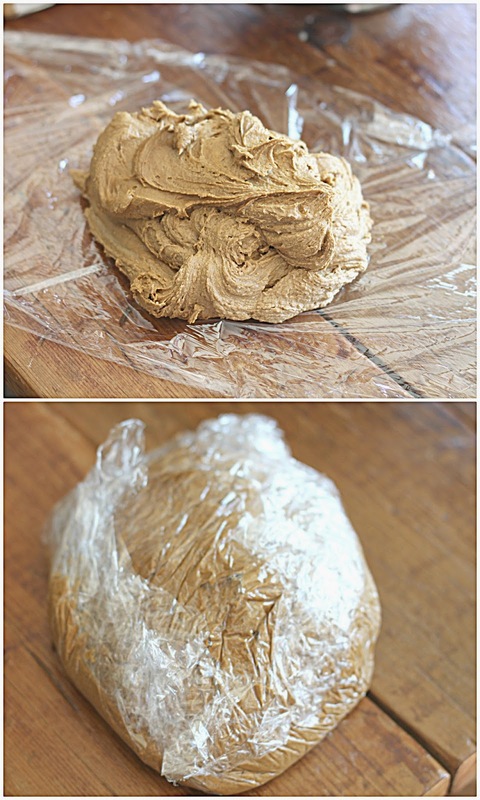 Scoop out dough onto a large piece of plastic wrap, wrap dough up in the plastic wrap and refrigerate for at least 3 hours, or up to 5 days, before baking. Preheat oven to 350F, and grease cookie sheets or use parchment paper lined on cookie sheet (I used Pampered Chef stoneware); set aside. 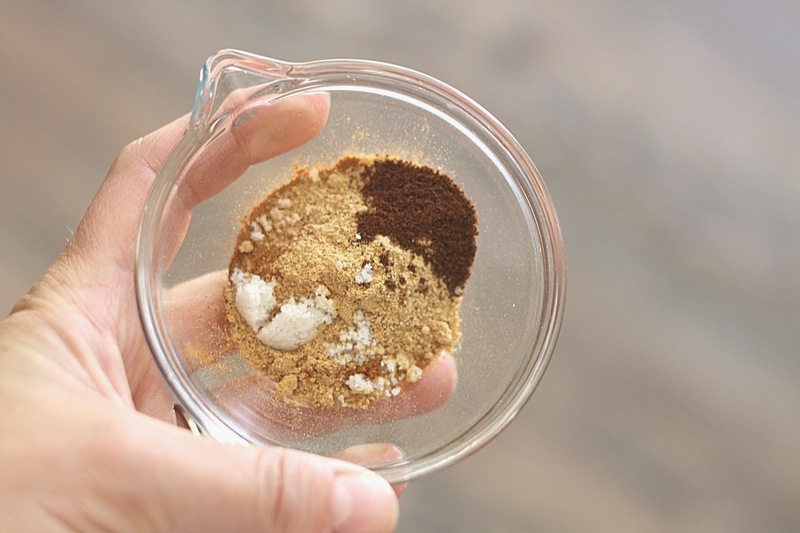 Add granulated sugar and cinnamon to a small bowl and stir to combine. 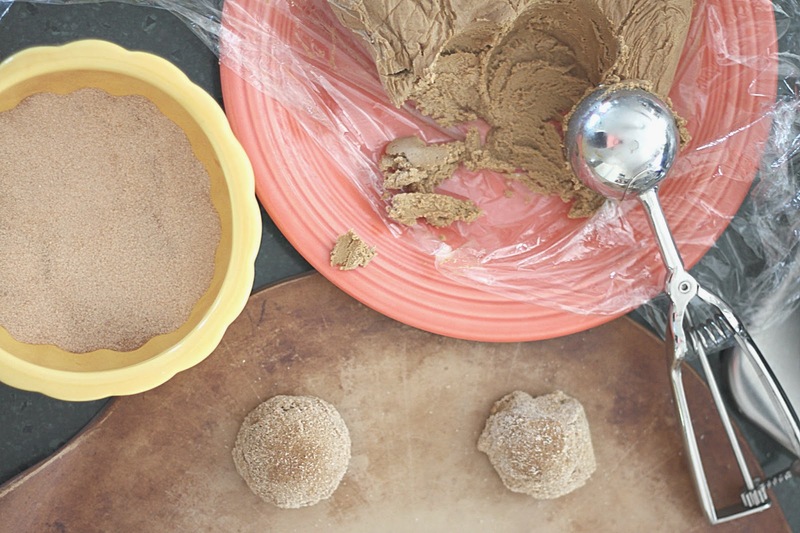 Roll each ball of dough through the coating, liberally coating all sides. Place coated mounds on baking sheets, spaced at least 2 inches apart. Bake for 8 to 9 minutes, or until edges have set and tops are just beginning to set, even if undercooked and soft center. Do not bake longer than 9 minutes for soft cookies because they firm up as they cool; bake for 9-10 minutes if you like firmer cookies. 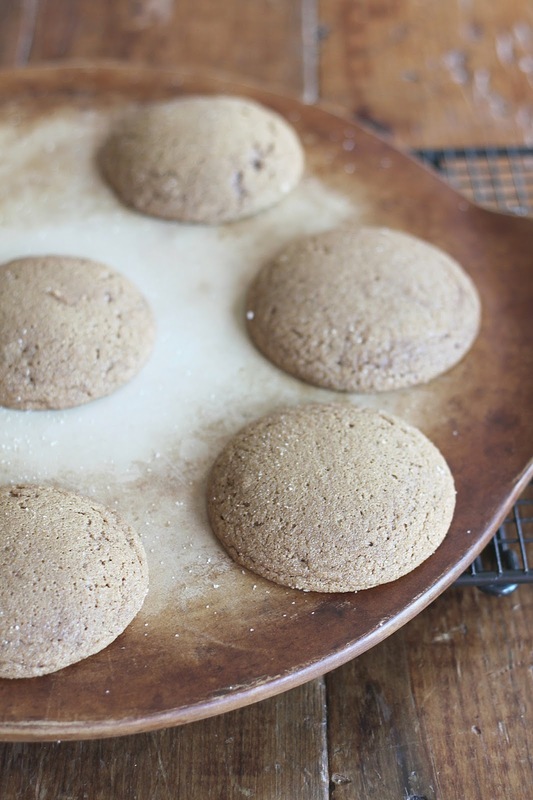 Allow cookies to cool on baking sheets for about 5 minutes before removing and transferring to a rack to finish cooling. In between posts, follow MLST (Kat Hertzler) on Instagram here or Facebook here. Coconut oil all the way, baby! Hope you like them as much as we did, Camille! Kat, I love coconut oil and use it quite a bit cooking. The health benefits are amazing!! I definitely want to try these. We use coconut oil making popcorn - have you tried this? So yummy and the kids love it!! Hi Kat, I just tried leaving a comment and something happened, but I just want to say that these look fantastic!! 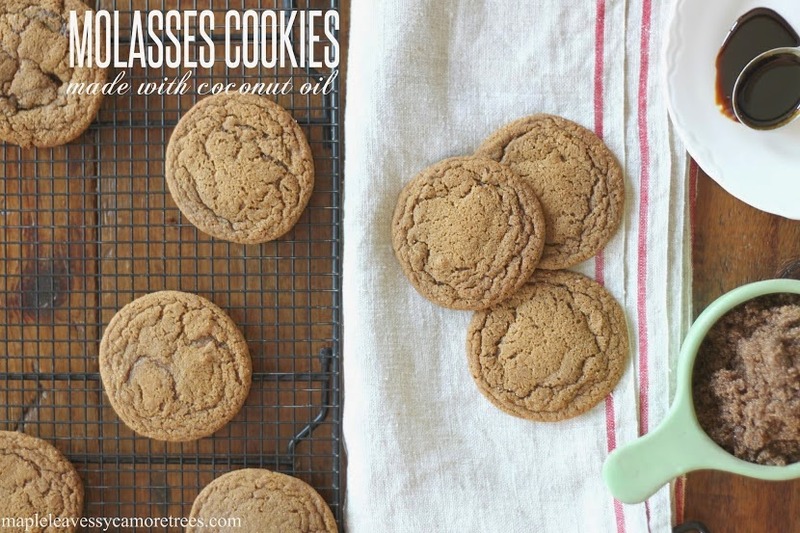 I am a huge fan of coconut oil - so many health benefits so I definitely want to try these cookies. Have you tried popcorn and coconut oil?? So yummy - my kids love it!! So happy to follow you on IG these days!! I'm so glad I found you on IG too, Fran! I've popped popcorn IN coconut oil on the stovetop. It's my favorite way! I've heard of people pouring oil over top but I don't think I've done that yet. I know...coconut oil is the best!